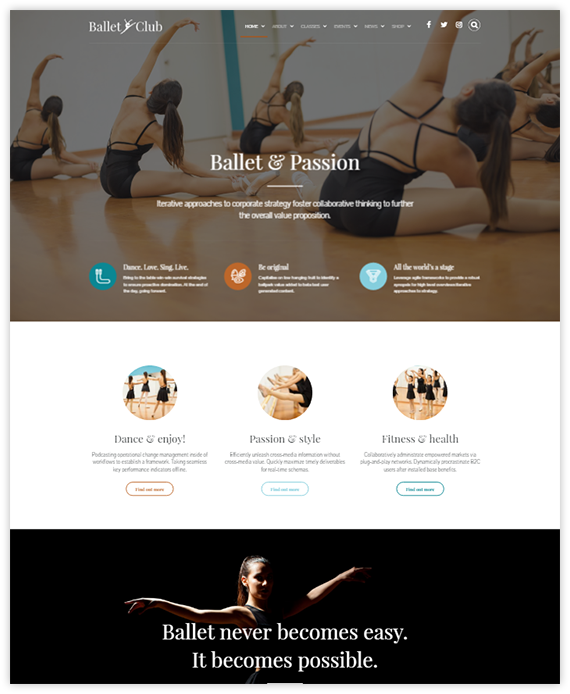 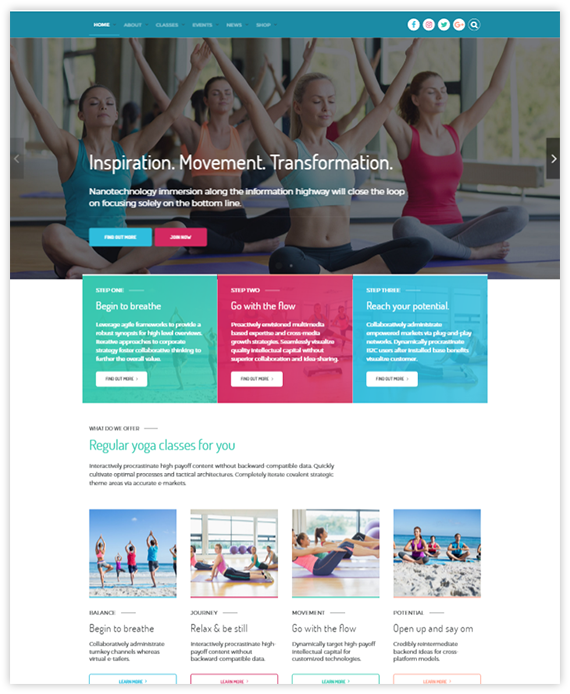 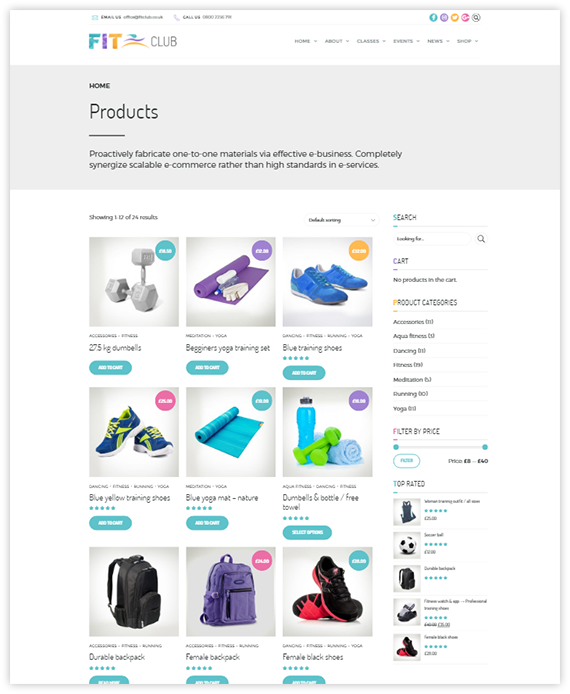 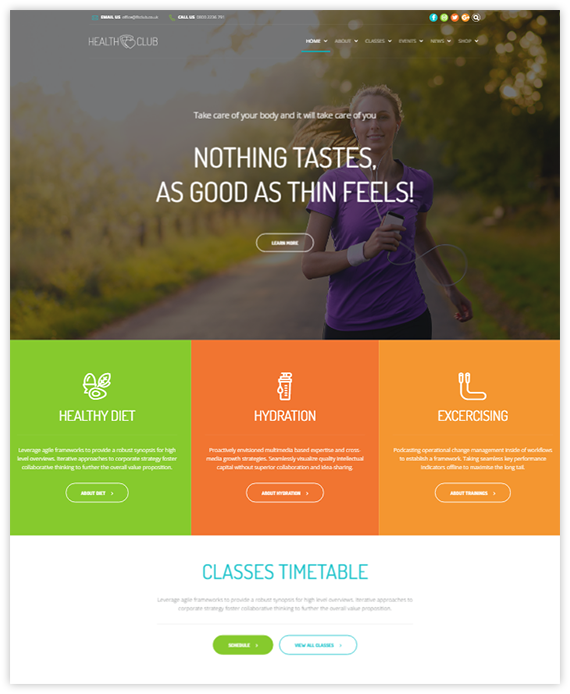 Full of options and flexible templates, Fitness Club gives you a choice of carefully crafted sample pages and homepages for your website. 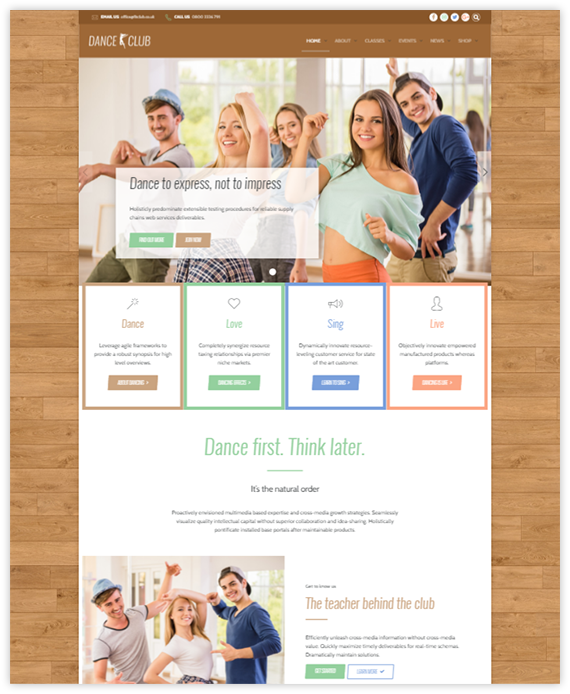 Bold Builder for WordPress is drag and drop page builder plugin that will save you tons of time working on the site content. 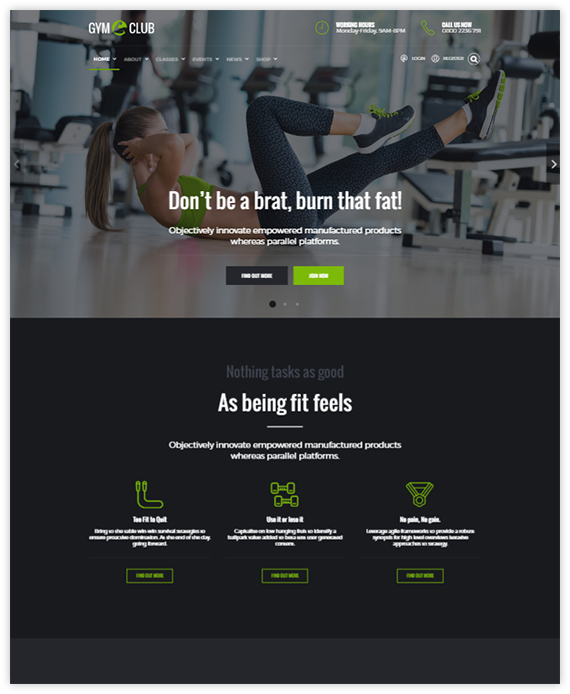 Whatever you are using the device your site will run as it should be. 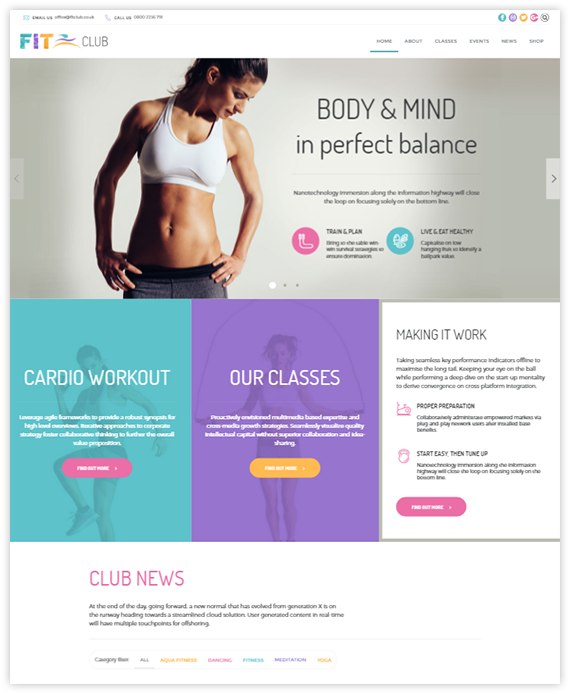 Fitness Club has fully responsive layout for all type of devices. 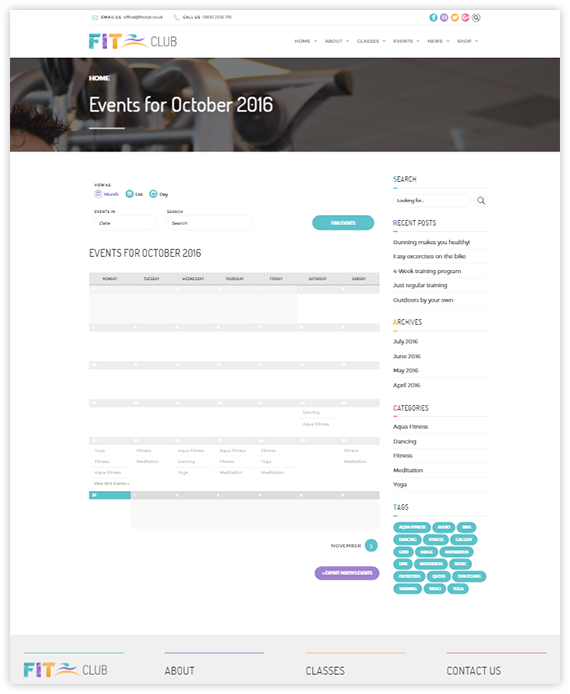 Fitness Club theme options panel is powered by native WordPress Customizer, so you can change any setting easy and quickly.